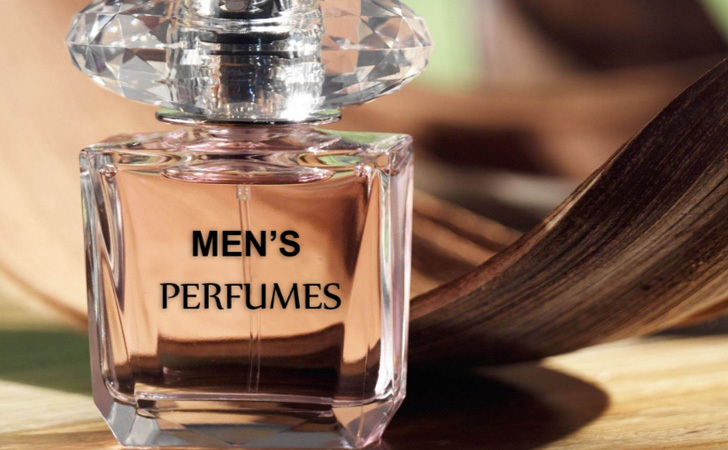 Find the best men’s perfumes in this post! Our ability to smell is one of our most powerful senses. In many ways, how we smell dictates our happiness and wellbeing. People who smell good are much more likely to attract more friends and possible romantic partners than people who have an unpleasant odor. If you don’t smell good when you meet someone new, it’s likely that your odor will color that person’s opinion of you in a negative way. Not everyone smells great naturally all the time. While hygiene is definitely important in order to help you maintain a pleasant scent, the natural smell of your skin isn’t necessarily attractive. Wearing perfume can help you smell great constantly. Maintaining a constant pleasant scent allows you to seem much more attractive to others. Plus, knowing that you smell good helps you build more self-confidence and perceive yourself as better looking as well. Perfume is most-often associated with women, but it’s not a gendered product. Wearing perfume as a man helps you constantly be more attractive and feel better about yourself. You’ll never have to worry about how you smell again; you’ll know that you always smell incredible. Read the following reviews of men’s fragrance to find your favorite one. This men’s perfume is masculine first and foremost. It comes in a rectangular clear glass bottle with black lettering and a silver stopper. The liquid of the perfume itself is clear. This perfume is extremely long-lasting. The scent does not fade throughout the day even if you apply it first thing in the morning. Plus, it only takes one or two sprays on your pulse points to remain potent all day long. There is no need to define this perfume as a “day fragrance” or a “night fragrance”. Its scent is very versatile and it can be worn almost anywhere at any time. With an earthy base and fresh notes of tea, pepper, and citrus, the perfume smells simple yet elegant. Its unique bottle with a clear glass cutout is just the beginning of the special complexity of this incredible men’s perfume. 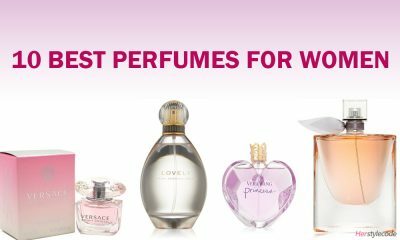 One of the most difficult problems with perfume is that many fragrances are either uncomfortably overpowering or disappointingly weak. 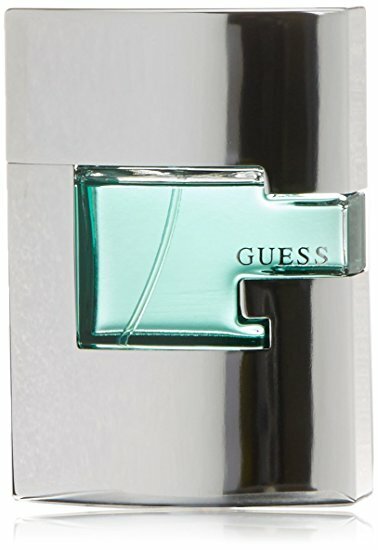 This perfume from Guess offers the perfect mix of power and softness. It is long-lasting, but it doesn’t announce itself in a room before you do. The scent of the fragrance is that of a traditional, classic cologne. It is soft but still potent and blends perfectly with the natural aroma of your skin to create a gentle, soothing scent. This unique perfume is a breathtaking blend that takes the senses by storm and reveals the complexities of life itself. The fragrance is inspired by the gorgeous Pantelleria, an awe-striking Italian island renowned for its clear skies and bright blue waters. The scent of this men’s perfume takes those who smell it straight to Pantelleria’s classic island scene. It includes a heady mix of both sweet and salty notes to bring to mind imagery of cool ocean water, refreshing wind, and warm sunshine. 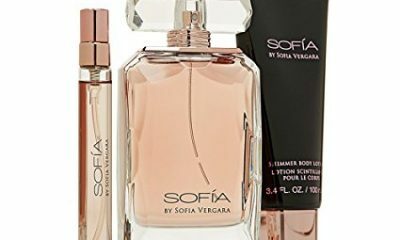 The fragrance has a woody base and is infused with notes of citrus, rosemary, spices, and salt to create an intoxicating blend. This men’s perfume is designed as the perfect fragrance to wear during the daytime. It includes a variety of fragrance notes, such as lavender, jasmine, oakmoss, musk, and sandalwood. These notes blend together to create a soft and gentle mix that is ideal for daytime use. 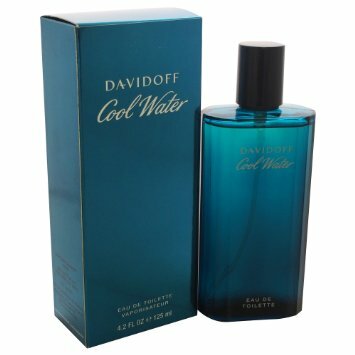 The Cool Water perfume can last for up to eight hours at a time without fading from your skin. Despite being a soft and gentle fragrance, you can spray the perfume on in the morning and expect it to last until the evening. 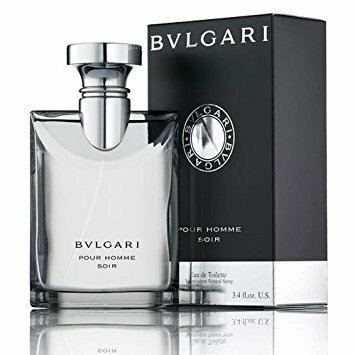 You can wear this men’s perfume at any time of day or night, but its light and airy fragrance is specifically recommended for use during the daytime. The scent itself includes both sweet and salty notes designed to conjure images of the salt of the sea and the warmth of the sun. It is very classy and fresh. The perfume itself comes in a unique bottle crafted from light blue glass. The bottle is beautiful and features texturing along the sides that adds to its interest and charm. You can place this perfume anywhere in your home to add a charming touch to your decor. 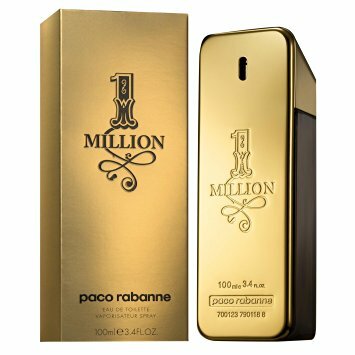 This men’s perfume from Paco Rabanne is the epitome of masculine seduction. It is perfect for nighttime wear for a date night, an elegant dinner, or a night out on the town. Despite its elegant, masculine scent, the perfume is casual enough to be worn out for a wide variety of occasions. The fragrance of this men’s perfume is incredibly unique. It features notes of vodka, frozen mint, passion fruit, amber, grapefruit, rose, cinnamon, leather, and caviar. All of these scents mingle together to create a heady blend of intriguing, masculine harmony. The perfume comes presented in a gold bottle with engraved labeling. Its presentation is classy and elegant, just like the fragrance inside. 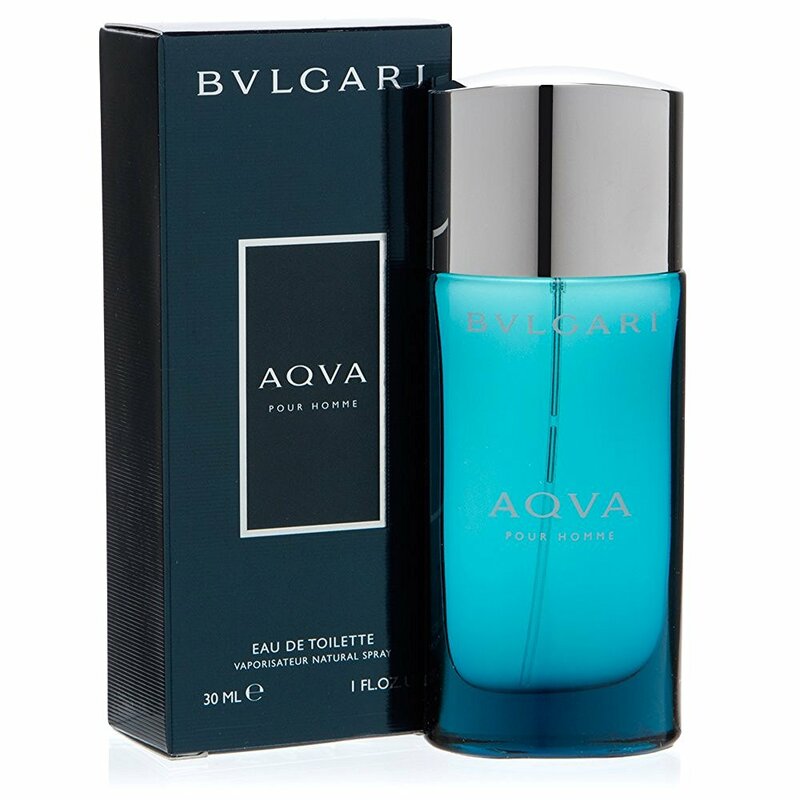 Bvlgari Aqua men’s perfume is the perfect scent for summer. The fragrance has very clean and fresh overtones. However, these overtones are contrasted wonderfully with notes of spice that add much-needed warmth to the fragrance. This scent can be worn day or night. It is extremely versatile and fits almost any occasion. This perfume is very long-lasting. After you spray it on, it won’t fade from your skin for at least three to four hours. Although the scent is strong and refreshing, it never smells overpowering or excessively strong. 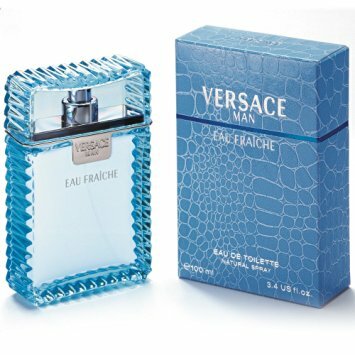 The perfume is beautifully packaged in a slender, turquoise blue bottle. The liquid of the perfume itself is clear. The bottle includes a silver top that prevents spilling and leakage and ensures easy portability. This delicious men’s perfume from Nautica is a clean, airy, and refreshing fragrance. The scent is aquatic and fresh. 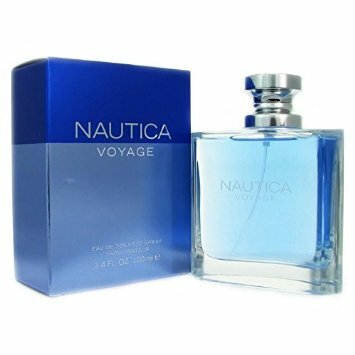 Nautica Voyage is an extremely versatile perfume and pairs well with almost every outfit and occasion. Although the perfume is powerful enough to stay on your skin all day long without fading, it never smells too overpowering. The perfume comes in a delicate, rectangular clear glass bottle. The liquid itself is colored a cool blue reminiscent of the gorgeous ocean itself. This perfume bottle has a beautiful silver stopper that adds to its elegant charm. It looks beautiful and inviting when placed on a dresser, vanity, or other surface in your bedroom or bathroom. Choosing a fragrance can be a slippery slope. Most people are very picky about the scents they wear. Perfume that smells great to one person might be revolting to someone else. The fragrance you choose to wear on your body is a very personal choice that reveals a lot about your personality. 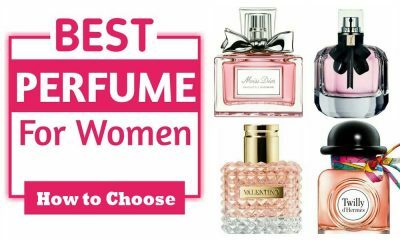 Therefore, it’s important to choose wisely when selecting a fragrance for you. 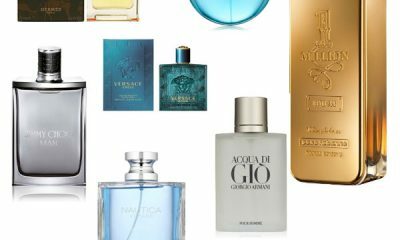 Try out some of the most popular, best-loved perfumes for men in this post to find a scent that fits all of your fragrance preferences.